Our Inaugural Reading/Art Outreach Project Causes Gasps of Delight! 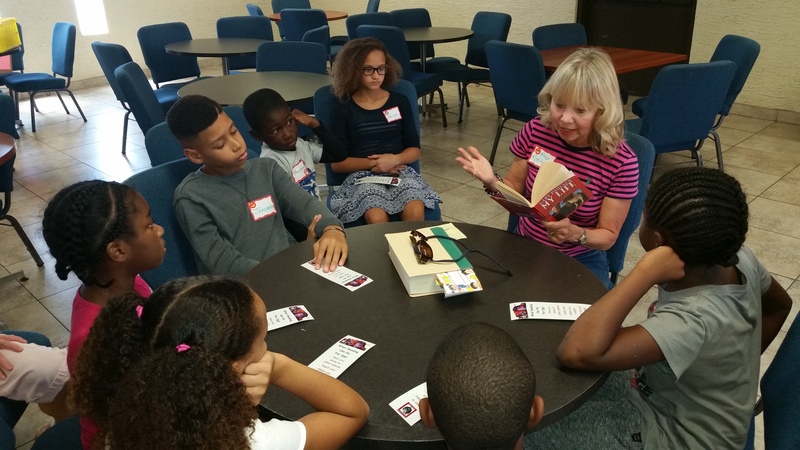 We hosted our very first “Story Time” at Bethesda Community Baptist church near downtown Phoenix on Saturday, September 26th from 11 am until 1 pm (photos below). 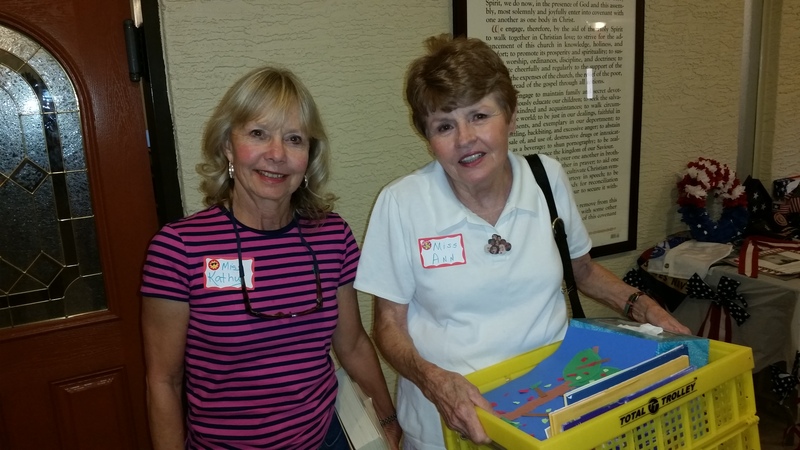 Moving forward, we will do this regularly on the fourth Saturday of each month–if you are interested in helping in October, please let Jan Stephenson know by emailing her at stephensonaz@cox.net. Palo Verde RW member Kathleen Taylor used her well-honed story telling skills to keep the children in rapt attention with the antics of a Great Dane named Caesar (a real-life dog who was so petrified of trick-or-treaters that he would hide in the bedroom closet every Halloween with a housecoat over his eyes) as she read from Gary Paulson’s book entitled My Life in Dog Years. 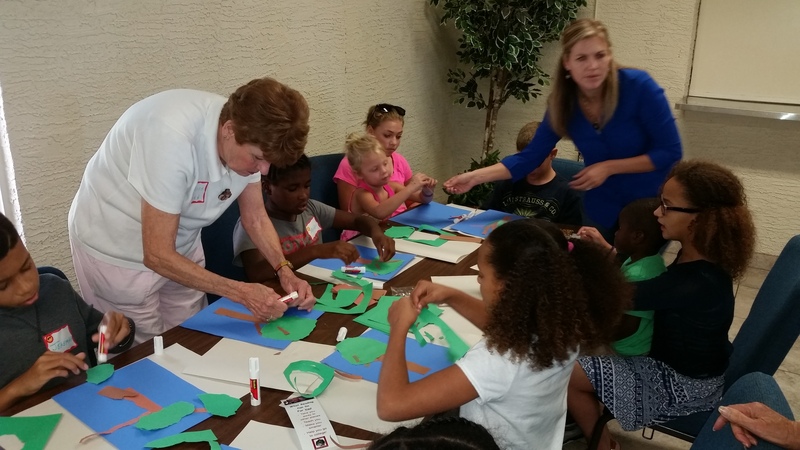 Ann Graham, mom of AZ GOP Chairman Robert Graham, assisted the children with a delightful art project based on the beloved children’s book The Giving Tree. 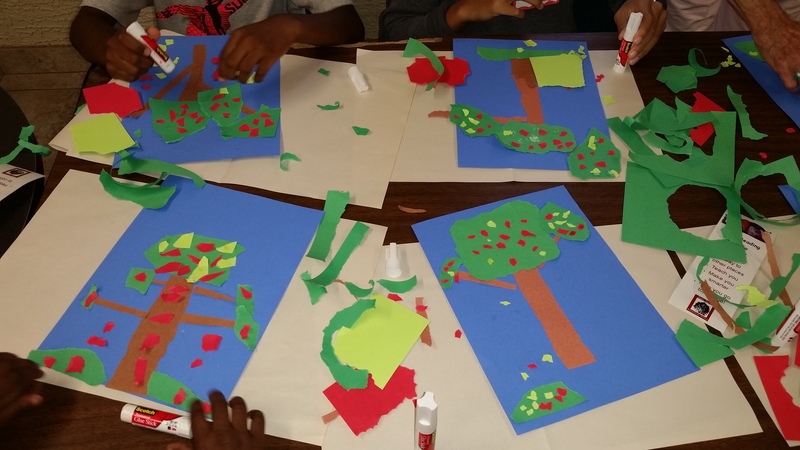 After placing the finishing touches on their individual “giving tree” masterpieces, the children enjoyed pizza and home made cookies. We wrapped up the event with each child checking out up to four books from the library of more than 500 books donated by our members of our club. Afterwards, the children headed off to choir practice. This never could have happened without Palo Verde RW member Jan Stephenson’s vision. 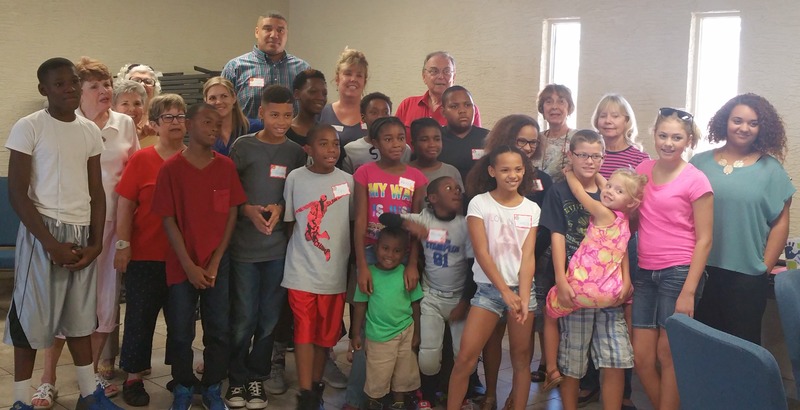 After the event, Palo Verde RW member Sherry Gray wrote to Jan thanking her for her vision and commitment to this project: “You have worked diligently collecting books, motivating all of us and coordinating with the church which has resulted in a significant contribution to the children of Bethesda Baptist,” wrote Sherry. 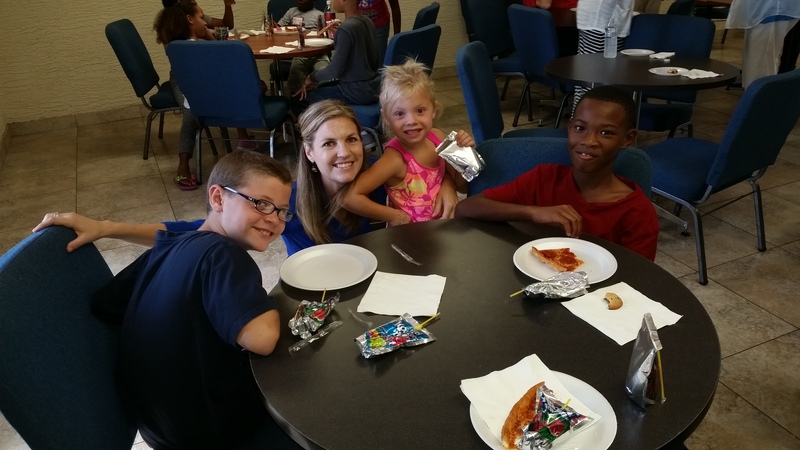 She continued, “Today was a fabulous day for all of us, especially the children. Kathleen’s story kept their attention to the end, and when Ann showed them the collage they would make there were gasps of delight coming from all around the table! Here are just a few photos of what transpired on Saturday!